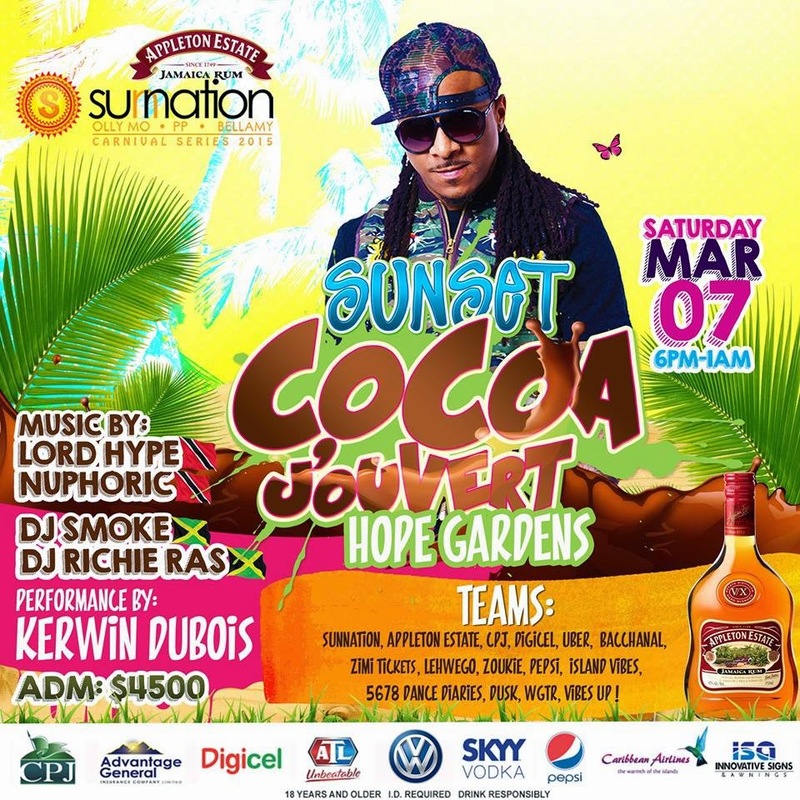 It took 2 words to get me signed up for Cocoa Jouvert…..KERWIN DUBOIS! The next task was to figure out which team to join….we were in two minds Island Mas or Dusk. Because we knew we were playing UWI Carnival with Island Mas we decided to join team Dusk. I anticipated a good time but what I left with was an AMAZING EXPERIENCE!!!! The jouvert area was set up at the first entrance of Hope Gardens. There were food stations and trucks serving as bars. There was also a Cocoa station. 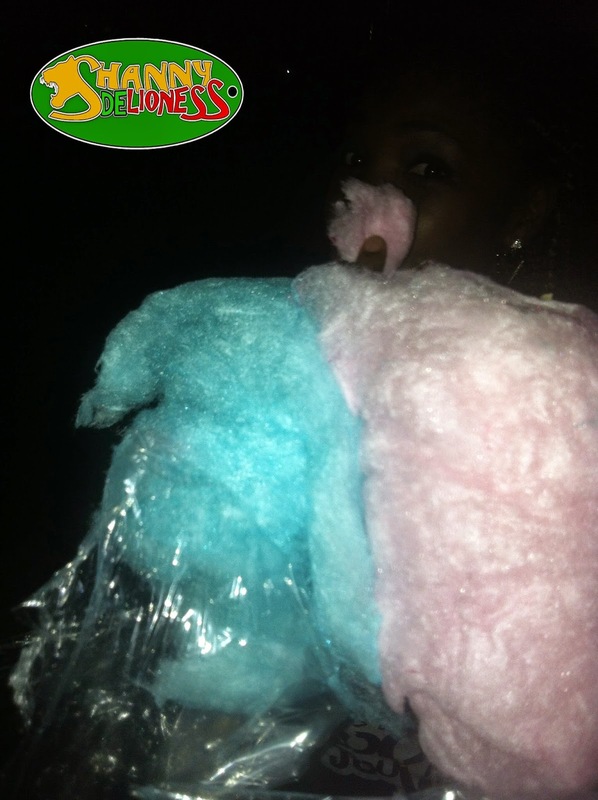 So the night kicked off with the DJ’s spinning hits after soca hits as patrons frolicked in the Cocoa. We later hit the “road” drinks in hand & bumpers gyrating non stop. Our final destination (after a few stops in between) was the second entrance to Hope Gardens where the main performance stage was set up. 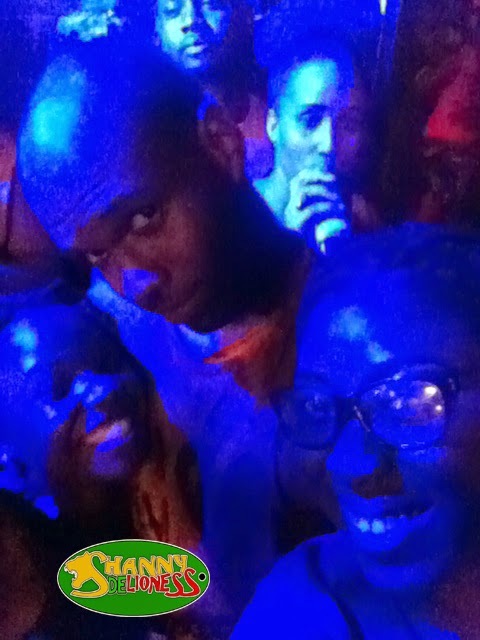 I was in awe….Kerwin Dubois is one of my favourite soca artiste. I think he is extremely talented & knows how to find the hits. All I remember was wining down & singing along to ALL his hits….oh & his skills with a water hose. When the DJ’s took over after his set, they kept the energy high & even sprinkled a little Dancehall flavour in the mix. Unlimited drinks, vibes & great company was the right formula for a night to remember. The musical stylings of DJ Richie Ras (one of my favourite DJs especially for Soca) & Nuphoric from Trinidad & Tobago were my favourites for the night! I was dancing nonstop until the party ended at 2:00 AM. Sunnation definitely got it right with Sunset Cocoa Jouvert. I will definitely be making this a staple on my party calendar. Can you tell I am excited?! Oh Lord ah high celebrating life! Shani you need to experience the next one!